Fun for all the family well those who stand to pee at least. Great for children of all ages, including Dad! Like one review comment "My son is scared of these!" 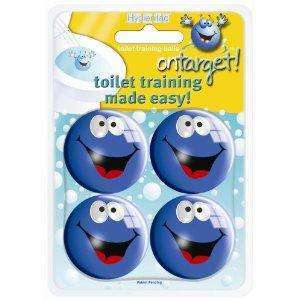 Another reviewer recommended ping pong balls as the training balls easily get flushed away. Not voted.